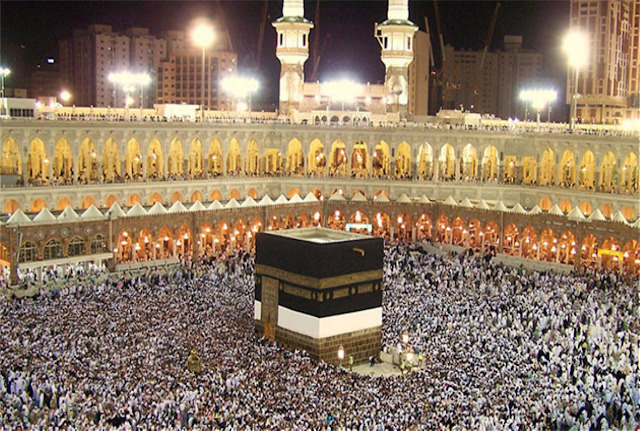 Karachi / MAKKAH (September 5) – More than 2.35 million pilgrims have completed Hajj this year, fulfilling their religious duty in peace and unity at the holiest city in Islam, Makkah. Saudi Arabia welcomed the world to the five-day pilgrimage, one of the five pillars of Islam, with pilgrims from dozens of countries coming together in what many consider the highlight of their spiritual lives. In all, 2,352,122 pilgrims traveled to Makkah for this year’s Hajj, 1.75 million of whom were from outside the Kingdom. Just over 1 million came from Asia, and nearly 400,000 traveled from non-GCC countries. Close to 200,000 arrived from African countries. Nearly 100,000 pilgrims traveled from European countries, while the United States and Australia together accounted for around 25,000 pilgrims. Almost 33,000 came from GCC countries. “Welcoming pilgrims from all around the globe is the honor and duty of Saudi Arabia, under the auspices and direct guidance of the Custodian of the Two Holy Mosques, King Salman bin Abdulaziz and Crown Prince Mohammad bin Salman. We make every effort and spare no expense in ensuring that pilgrims have a peaceful and fulfilling Hajj” said Dr. Awwad Alawwad, the Minister of Culture and Information. “Whether it is providing lodging at Mina or staffing health facilities or giving pilgrims helpful information bracelets, we do everything we can to take care of those traveling to Makkah. Our efforts to improve this experience are constant and ongoing” Dr. Alawwad added. As always, the creation of a temporary city to accommodate more than two million people meant that Saudi Arabia again had to go to extraordinary lengths to protect the health, safety and well-being of pilgrims. There were 15 medical centres at Makkah and nearby Holy sites, staffed by more than 30,000 trained medical professionals. During the course of Hajj, doctors performed more than 2,600 free surgical procedures, and nearly 60,000 pilgrims received some form of medical treatment. Of the foreigners who traveled to Saudi Arabia for Hajj, more than 1.6 million arrived by air, most traveling through Jeddah and Madinah, where airports have special terminals dedicated exclusively to handling Hajj pilgrims. These facilities, paid for and constructed by Saudi Arabia, are just one example of the fruits of the tens of billions of dollars Saudi Arabia has invested since the 1950s to improve and enhance access to Makkah, the upkeep of the Grand Mosque, and the Hajj experience itself. As always, a focal point of Hajj was the vast tent city at Mina, where pilgrims stayed in air- conditioned tents constructed of fire-retardant materials. In the tent city, the pilgrims were grouped by nationality. Of course, a massive undertaking like Hajj can sometimes be daunting and confusing for pilgrims, which is why 2017 marked the second consecutive year that pilgrims were issued individual electronic identification bracelets. Each bracelet contained a pilgrim’s personal information and any special medical needs they might have. The devices, which are water-resistant and contain GPS data, also were used to provide pilgrims with up-to-date information on prayer schedules and other details related to Hajj. The bracelets could also be used to connect with a multi-lingual help desk in which other, more detailed questions could be asked and answered. The utility of the wrist bracelet was augmented by regular Hajj updates texted by the Saudi organisers to the pilgrims’ mobile devices. All information was also updated to two websites dedicated to Hajj 2017: SaudiWelcomesTheWorld.org and Hajj2017.org. Hajj, of course, is about more than raw numbers; each pilgrim has his own deeply personal experience. And pilgrims bring their own unique perspective to this fulfillment of a religious duty. One of the oldest pilgrims was 104-year-old Ibu Mariah Marghani Muhammad, from Indonesia, who arrived in Jeddah on August 26 and later in the week said in Makkah that her pilgrimage journey was an “experience that I will never forget”. Another young Indonesian pilgrim, Mochammad Kahmim Setiawan, travelled 9,000 km by foot on a yearlong “spiritual adventure” before he arrived for this year's Hajj. These are just several of thousands upon thousands of personal stories that illustrate the importance of Hajj to Muslims the world over. As pilgrims begin to return to their home countries, Saudi Arabia is already beginning to plan for next year’s Hajj. The work of organizing and hosting the world’s largest annual gathering never stops.